Sumayya earned her doctorate from the University of North Carolina at Chapel Hill , School of Information and Library Science in summer 2016. While at UNC she also earned the Duke-UNC Graduate Certificate in Middle East Studies. Sumayya received an M.A. in Arab Studies from the Center for Contemporary Arab Studies at Georgetown University in 2006. Her B.A. in Sociology and African-American Studies (double-major) was earned at Wesleyan University in Middletown,CT. As an undergraduate she also spent time studying Moroccan culture and language through the School of International Training (SIT) in Rabat, Morocco. Sumayya conducted the fieldwork for her dissertation research on the Hassan II Prize for Manuscripts and Archival Documents with the help of a short term grant from the American Institute of Maghrib Studies in the summer of 2015. This included an internship at the Moroccan Ministry of Culture‘s Directorate of the Book which administers the Hassan II Prize. She received a FLAS award for the summer of 2012 to study Arabic in Morocco. She also interned at the National Library of Morocco in Rabat and began an exploratory research project on the digitization of Arabic manuscripts that was supported by a short-term grant from the American Institute of Maghrib Studies (AIMS). From 2007-2008, Sumayya carried out research in Morocco as a U.S. Fulbright research grantee. Female Islamic scholars and scholarship in current day Morocco was the subject of her research. During this time she also received a Critical Language Enhancement Award (CLEA) to study Advanced Arabic at the Arabic Language Institute in Fez (ALIF). As an M.A. student at Georgetown University, she received the Georgetown University Qatar Arabic Language Study Fellowship to study Arabic at the University of Qatar in Doha, Qatar (2004-2005). She also received the Foreign Language Area Studies Award (FLAS) for the intensive study of Advanced Arabic at Georgetown University in the summer of 2004. Ahmed (2016). For a Morocco that Reads: The Crisis of Reading and Recent Initiatives to Revive Libraries and Reading in Morocco. In Click, A. (Ed. ), Ahmed, S. (Ed. ), Hill, J. (Ed. ), et al. (2016). Library and Information Science in the Middle East and North Africa. Berlin, Boston: De Gruyter Saur. Ahmed, S. (2016). 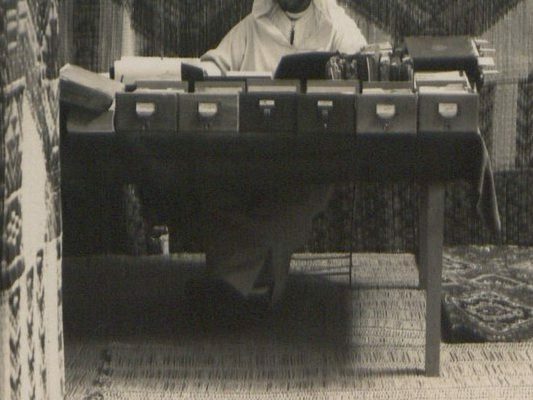 Desert Scholarship: The Zawiya Library of the Naṣirīyya Sufi Order. Libraries at the Heart of the Dialogue of Cultures and Religions: History, Present, Future. Cambridge Scholars Publishing. A Muslim Suicide by BenSalem Himmich,MELA Notes: Journal of Middle Eastern Librarianship 86 (2013). Human Rights, Suffering, and Aesthetics in Political Prison Literature. InterActions: UCLA Journal of Education and Information Studies, 8(2) 2012. “Developing Readers: The Crisis of Reading in Morocco and Recent Initiatives to Promote Reading” IFLA World Library and Information Congress, Lyon, France, August 16-22, 2014. Paper can be found here. “The Tradition of Female Islamic Education in Morocco” at Southeast Regional Middle East and Islamic Studies Seminar (SERMEISS) , March 17, 2012 at UNC Chapel Hill. *Awared the Herbert L. Bodman Award for Best Paper by a Graduate Student for this presentation. (INLS 754, graduate, Fall 2015, co-Instructor with Dr. Denise Anthony). Website. (INLS 550, graduate, Spring 2015, taught sections on the book in the Muslim world). Website. Sumayya is a member of the Middle East Librarians Association , International Conference on Archives, The Society of American Archivists, The Islamic Manuscript Association, and the American Institute for Maghrib Studies .